Let me get my remaining objection out of the way at once: it’s the crummy score by Allan Gray. Mind you, it’s crummy, but hardly appalling in the way that so many modern scores are appalling: it isn’t used as aural wallpaper; it’s used with discretion and it’s nearly always clear what purpose it serves. The only problem I have with it is that I don’t like the way it sounds: the romantic theme is the most satisfactory thing in the score, but to my ear, it’s not as gorgeous as it should be (I can’t help wishing Korngold could have scored this picture!) — it’s not as fine as the writing and the acting. The comic underscoring is too broad and corny — it doesn’t tickle my funnybone; it digs its elbow into my ribs in a most disagreeable fashion. Of course, it could be a whole lot worse: Allan Gray’s wretched score for “The African Queen” is far more bumptious and irritating — he’s at his worst when he thinks “it meet/To put an antic disposition on,” which he does throughout that picture. 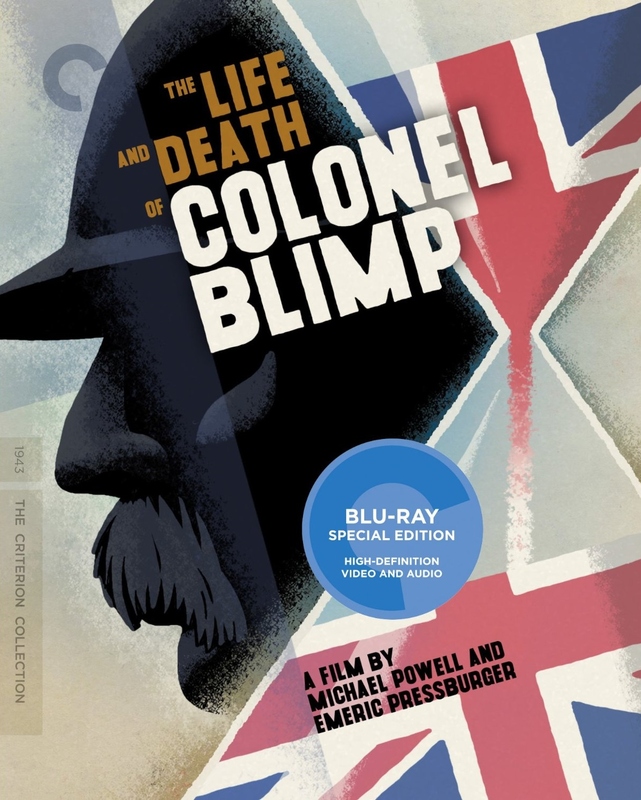 In “The Life and Death of Colonel Blimp,” which is less comic than “The African Queen,” he’s less overtly antic . . . but, alas, it appears that I am not merely anti-antic, but also anti-semi-antic. The acting from everyone in the cast is superlative. Deborah Kerr was only 21 when she made the picture; according to director Michael Powell, he was constantly astonished by her intelligence and talent. After one romantic scene halfway through the picture, Powell says on the commentary track, “Isn’t she fine? She always hit the right note. Most actors — even actresses — are not particularly intelligent; Deborah was particularly intelligent.” During another scene Powell says, almost in a state of bewilderment, “And she never put a foot wrong. She knew things in the part that she couldn’t have possibly known as a girl.” And indeed, her performance is almost unimaginably superb. She plays three separate roles that add up to what I think may reasonably be considered The Eternal Feminine: three young women who come into the life of our hero over the course of his career. Take for instance, this scene, in which she handles the dialogue with the finesse of an actress (I mean a great actress, of course) twice her age and with the sort of moral authority that comes only from extraordinary intelligence. Though I’ve admired Deborah Kerr for as long as I can remember, her performance in “Colonel Blimp” fills me with something more exalted and exhilarating than mere admiration. Her intelligence and diction remind me always of that line from “The Agamemnon,” which Taplow construes for Mr Crocker-Harris in “The Browning Version“: θαυμάζομέν σου γλῶσσαν — “We marvel at thy tongue.” That’s the wonderful Roger Livesey who gets cold tongue for his supper. Michael Powell hoped to cast Laurence Olivier in the lead role, but the military refused to grant him temporary leave from active duty. Olivier was a much bigger star at the time, but I don’t think he had nearly the soulfulness and conspicuous honesty of Livesey — and none of the pathos. Once you’ve seen Roger Livesey in the part, no other actor seems possible: he’s just about the most charming and lovable actor who ever performed in front of a camera. “Colonel Blimp” tells of the forty year military career of General Clive Wynne-Candy, running from the Boer War until the middle of the Second World War. In the course of those four decades, we see how manners, morals, styles and warfare change — we see whole ways of life come to an end and old duffers who try to figure out how they fit in in a world they don’t understand — a new world that is being created by young men who know nothing about who and what came before them. Clive Candy meets his greatest friend by accident. After a chance altercation over a point of honor in a Berlin café, Candy finds himself challenged to a duel (with sabers) against an opponent he has never met. Both he and his Prussian officer opponent give each other a good pasting — Candy takes eight stitches to the upper lip; his Prussian opponent, twelve stitches to the forehead. While they are recuperating in the same hospital, they meet over a rubber of bridge and become lifelong friends. This is the scene where they meet in hospital. The charming German lady, Frau von Kalteneck, is a wonderful actress by the name of Ursula Jeans. She was the wife of Roger Livesey and also the sister of the sublime comedienne, Isabel Jeans, who was the first Mrs Claude Rains. Theo Kretschmar-Schuldorff is the great Viennese ham, Anton Walbrook. Walbrook is awfully wonderful as Lermontov, the demented ballet master in “The Red Shoes,” but I don’t think he was ever better than he is in this one. Several weeks go by in a hurry and we arrive at this, the next scene in the picture. Clive (Livesey) has fallen in love with Edith (Kerr), but doesn’t know it. Theo (Walbrook) has also fallen in love with Edith, and does know it. Edith has fallen in love with both Theo and Clive and doesn’t know what, if anything, will become of her. While it is certainly tempting at this point to go into some detail about at least a few of the major themes in the picture, I think I will forswear that temptation for the time being. Instead, I’ll show you two of my favorite scenes, both of which present thematic material forcefully, beautifully and, I think, poetically. (They are both certainly beautifully spoken and acted — “Colonel Blimp” has more interesting, beautiful voices than any other picture I know.) Both scenes are in the way of being quite unabashed propaganda; both present the most enchanting propaganda I’ve ever come across. I can’t tell if the scene, out of context, seems a bit thick. But in the context of the picture, Clive Candy’s world has been so thoroughly created in the two hours that precede it, the moralizing is entirely earned and very moving indeed. I don’t know of another picture that makes decency so exciting and satisfying. It’s propaganda of the very highest order. I particularly admire the set, which took a month to set up and two weeks to clear away after shooting wrapped. Few of the actors in the smaller parts are familiar to modern audiences, but many of them were lions of the London stage — some of them shared the stage with Henry Irving and Ellen Terry. The President of the Tribunal in the scene above is played by a popular West End actor, A.E. Matthews. In his youth, Matthews worked at a London bookseller; when he learnt that Sir Henry Irving had worked not only in the same bookshop, but at the very same desk as he, he decided to devote his life to the theatre. During his long and distinguished career, he worked with everybody from Ellen Terry to Elaine Stritch. This entry was posted in Main and tagged A.E. Matthews, Allan Gray, An American in Paris, Anton Walbrook, Claude Rains, Deborah Kerr, Elaine Stritch, Ellen Terry, Henry Irving, Isabel Jeans, Korngold, Laurence Olivier, Life and Death of Colonel Blimp, Magnificent Obsession, Martin Scorsese, Michael Powell, Roger Livesey, The Adventures of Robin Hood, The African Queen, The Browning Version, The Red Shoes, Ursula Jeans, Winston Churchill on July 4, 2013 by TR.